Royalty-free stock illustration of an Asian food delivery boy riding a motorcycle and russing fast to be on time. Royalty-free stock illustration of an Asian food delivery boy running fast while holding a box of hot noodles with one hand. 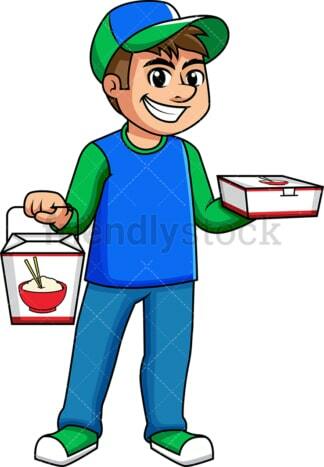 Royalty-free stock illustration of an delivery boy carrying several Asian food containers with both hands. Royalty-free stock illustration of an Asian food delivery boy holding a noodle box and giving the thumbs up. 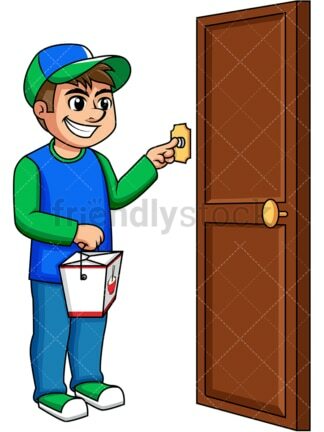 Royalty-free stock illustration of an Asian food delivery boy standing in front of a door and ringing the doorbell while holding a noodle box. 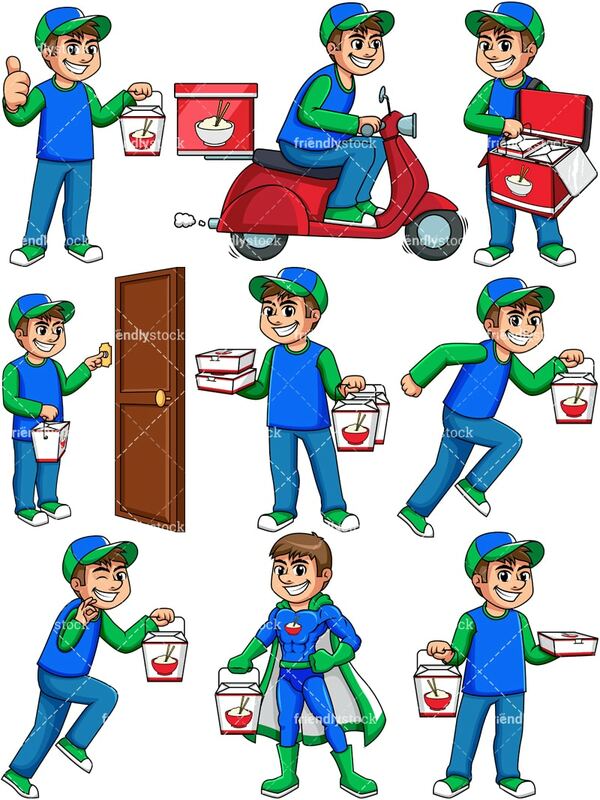 Royalty-free stock illustration of an Asian food delivery boy dressed as superhero, wearing a table sheet as a cape and holding a noodle box with one hand. 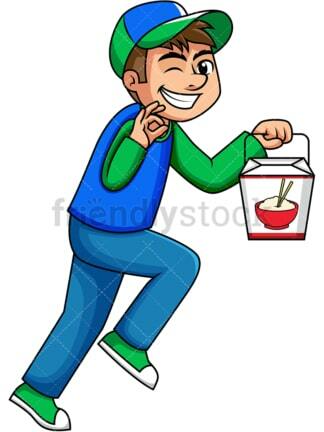 Royalty-free stock illustration of an Asian food delivery boy running while holding a noodle box and making the a-ok gesture with his other hand. Royalty-free stock illustration of an Asian food delivery boy getting a noodle box out of a heat bag while delivering an order to a customer. 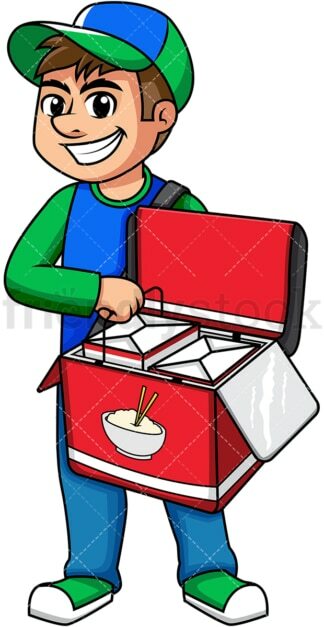 Royalty-free stock illustration of an Asian food delivery boy smiling while holding a noodle box on one hand and a rice box on the other.